In Kansas City Metro, where precipitation levels are in line with the national average, homeowners are at risk of undergoing water damage in their home, from heavy storms and occasional snowfall to pipe bursts and a leaky appliance hose. The longer water sits, the more destruction it does. In order to prevent permanent damage to the structure of your home, possession loss and mold growth, you need to call 911 Restoration Kansas City Metro’s Kansas City water damage remediation pros as soon as you can. Our Kansas City water damage team is thoroughly trained in extracting water from your property using high-tech water removal and drying machinery. We do everything we can do make sure your home is clean and safe again, so your family can begin living their normal, everyday lives again. 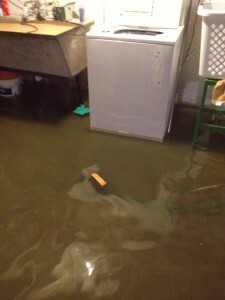 With over 35 years of experience in the home restoration field, the Kansas City flood cleanup crew knows how to handle even the most severe water damage jobs. Offering customers same day service for their water emergencies is very important to us. Our Kansas City water removal specialists make sure to keep their offices open 24/7/365, because we never want to make you wait when water is damaging your home. Our headquarters will dispatch licensed, bonded and insured professionals to your home right away, guaranteeing a 45-minute arrival time. Our Kansas City technicians are IICRC certified, so homeowners can rest-assured knowing that when they call 911 Restoration Kansas City Metro to restore their property they are getting the best care in the business. 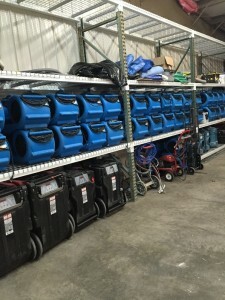 When the Kansas City flood extraction pros work for you, they will only use the most innovative cleaning, drying and sanitizing techniques on your home. 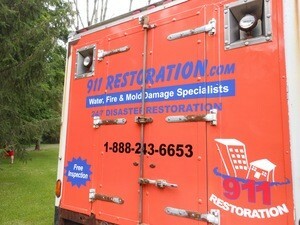 We know how imperative it is to deliver quick, proficient water damage repair. By doing this we let the customer know we are always putting them first, no matter what the circumstances. In order to accommodate our customers, our Kansas City leak repair crews conduct free water damage estimates and affordable prices. We never want you to feel like you are putting yourself in financial risk when you work with 911 Restoration Kansas City Metro. Our water damage staff also works with all major insurance companies and will do everything we can to get you the lowest out-of-pocket costs possible. We will help you with all the logistics of filing the claim and will always be available to answer any questions you may have. If you discover water damage in your home, do not wait to call the Kansas City flood remediation techs to clean up the mess. We will do everything we can to give you a fresh start.